Even though getting rid of starting pitchers might be the strategy that is the next big thing in baseball, we’re confident MLB teams will always need aces on the mound. As we take a look ahead, these starting pitchers will be the dominant aces in MLB in 2020. We won’t see any of 2018’s worst players on our list, but we’ll discuss one pitcher who’s already an ace (page 7) and another who’s been overshadowed for years (page 4). If you’ve been waiting for Trevor Bauer to finally get it together, your wait is over. His Cleveland rotation mates Corey Kluber and Carlos Carrasco get all the love, but Bauer is ready to be one of the top starting pitchers in 2020. Through 14 starts in 2018, he has one of the highest strike percentages (64.2%) and lowest pitches per inning (16.4) of his career, plus a 2.69 ERA that is more than one run below his career best. If Bauer keeps it up, he’ll be an ace in 2020. Next: All signs point toward continued dominance. If you believe Gerrit Cole is the best starting pitcher in baseball already, you won’t get much argument from us. He’s on track for career bests in ERA, winning percentage, strikeouts, K/9, WHIP, and batting average against, and he doesn’t turn 28 until September 2018. He’ll still be 29 for most of the 2020 season, and we’re positive he’ll still be one of the top aces in the game. Next: Everything is heading in the right direction. 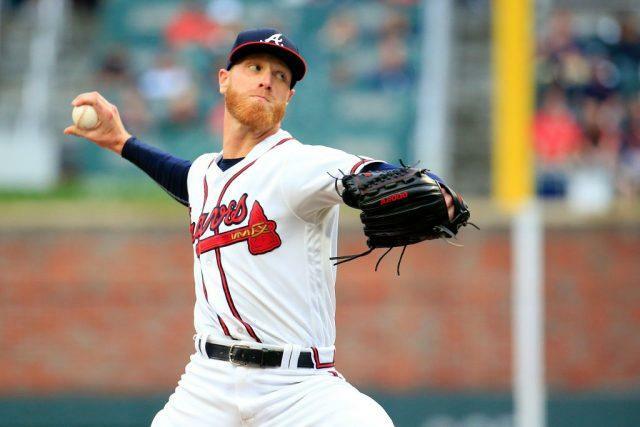 Everything is heading in the right direction for Mike Foltynewicz. Near the halfway mark of the 2018 season, the righty’s innings pitched and strikeouts are on pace to be the highest of his career. Meanwhile, his ERA, WHIP, and average against are tracking to be his lowest yet. By the time 2020 rolls around, he’ll be Atlanta’s ace and one of the best starting pitchers in the game. Next: He’s ready to take the spotlight. Can a player who allowed only one earned run in nine World Series innings in 2016 be underrated? If you’re talking about Kyle Hendricks, then yes. Jon Lester, Jose Quintana, Yu Darvish, and former Cub Jake Arrieta command more of the spotlight than Hendricks, but Arrieta is gone, Lester’s getting old, Darvish is always hurt, and Quintana’s team-friendly contract puts him in the trade bait category. Hendricks relies more on smarts than stuff to get outs, so even though he’ll be 30 when the 2020 season starts his game should hold up well enough for him to be one of the best pitchers in the league. 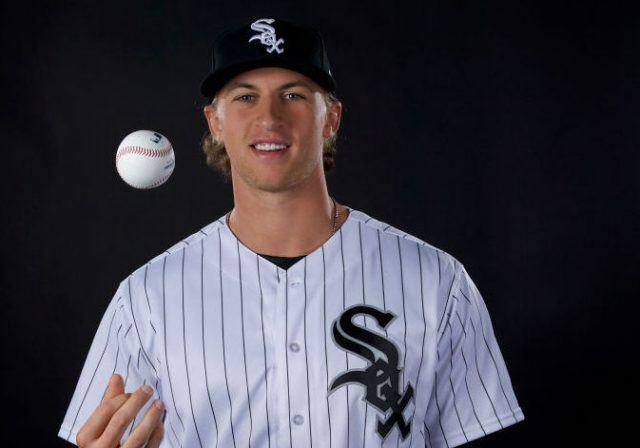 He’s not in the big leagues yet, but it won’t be long before we see Michael Kopech is in the majors. He’ll fit right in when he arrives. He’s long been one of the top prospects in baseball, and it’s easy to see why. He routinely hits triple digits on the radar gun and strikes out a ton of batters. We won’t be surprised if he has a rough patch when he gets to MLB, but by 2020 he’ll be one of the top starting pitchers in the game. Next: This isn’t much of a stretch. It shouldn’t be surprising to see former top-10 draft pick Aaron Nola make the list. He might already be Philadelphia’s ace, but he’ll probably be one of the best pitchers in 2020. His ERA, WHIP, and hits per nine innings through 14 starts in 2018 are the lowest they’ve ever been while his inning pitched and winning percentage are tracking to be the highest of his career. Nola will be 26 years old when the 2020 season starts, which is the age when starting pitchers typically reach their prime. Next: An ace now and an ace in the future. 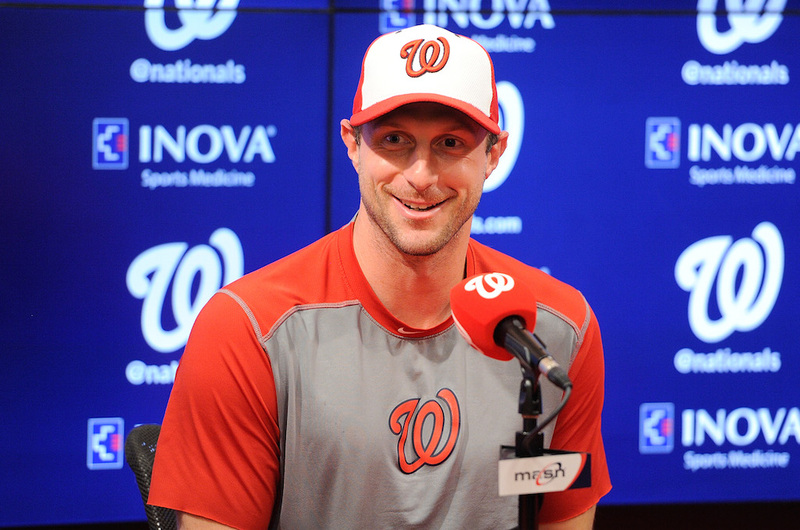 If we’ve learned one thing over the years, it’s not to underestimate Max Scherzer. Arizona did when it gave him away in one of the worst trades in history, and now he’s a three-time Cy Young Award-winner who is having his best season yet in 2018 at the age of 33. He’ll turn 36 during the 2020 season, but he’s never had a major injury and he somehow keeps getting better with age. We don’t think we’ll be wrong when we say he’ll still be one of baseball’s best starting pitchers in 2020. Next: He’s going to get better than this. If you only remember Luis Severino for his utterly forgettable 2016, then you need to take another look. The Yankees held onto him at the 2015 trade deadline, and now they have a pitcher who’s in the top 10 in wins, ERA, and innings pitched. We don’t see any reason (other than injury) why he won’t be one of the elite starting pitchers in 2020. Next: He’s finally coming into his own. If you need more proof that it takes most pitchers time to mature into bonafide studs, we present Blake Snell. Tampa Bay drafted him in the first round in 2011 when he was 19 years old, and now, in 2018, he’s finally living up to the potential. His top 10 rankings in ERA, wins, and WHIP through 14 starts in 2018 show he knows how to succeed in MLB. Now that he does, we think he’ll still be one of the top starting pitchers in the game in 2020. Next: He’s already elite and will stay that way if he can avoid the curse. He’s physically imposing, he has electric stuff, and he’s thoroughly and consistently dominant, and we don’t see why it will be different for Noah Syndergaard in 2020. Except for all the strange things that happen to pitchers in Queens, New York. We’re not going to sit here and tell you there’s a Mets curse when it comes to their starting pitchers. But it does seem like more than coincidence that Matt Harvey, Steven Matz, Zack Wheeler, Jacob deGrom, and Syndergaard (in 2017) can’t seem to stay healthy. Still, it’s hard to discuss the best starting pitchers in baseball in 2020 and not mention Syndergaard.